Learn all of the popular podcast media hosting models and how LibSyn will be changing in February, 2014 for their current and new customers. 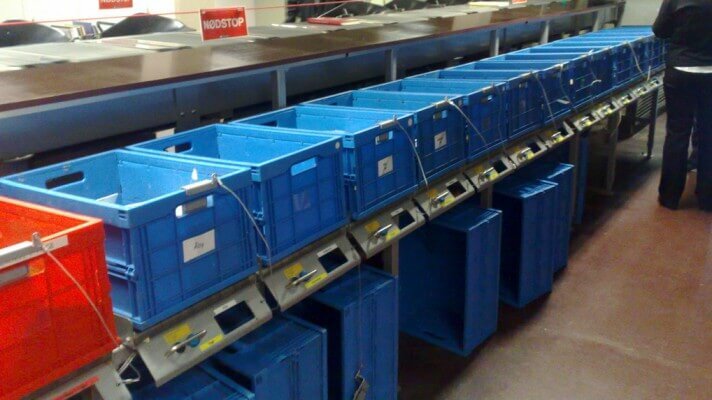 LibSyn and Blubrry have previously employed a “rolling storage” model for quite some time. Let's say you get 100 MB per month. With “rolling storage,” you could upload a 20 MB file today, and you would get that space back in exactly thirty days from when you uploaded/activated the file. If you upload another 20 MB file next week, you would get that space back another thirty days from then. And so it goes. The potential storage is unlimited, but you only upload so much at a time. The easiest way to picture this is as a conveyor belt. The belt can only hold 100 MB at any time, but anything you place on that conveyor belt will consume space for 30 days from when you placed it. This is often confusing and frustrating to podcasters. Even I have struggled sometimes to figure out whether I have enough space to upload an extra episode today, and then another episode in a few days. This all changed for LibSyn in February, 2014, and Blubrry changes in August, 2014. 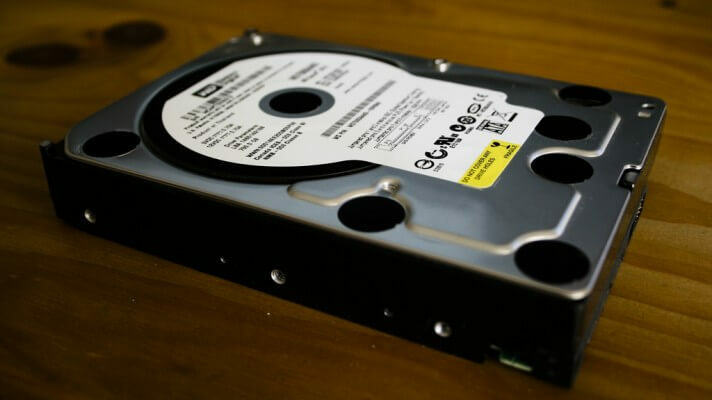 Some media hosts (like PodOmatic, Spreaker, and SoundCloud) will treat your storage as a regular web hosting company would and give you “fixed storage.” These plans are like hard drives; you can use the storage at any time, but once you fill it up, you need to delete stuff or upgrade. 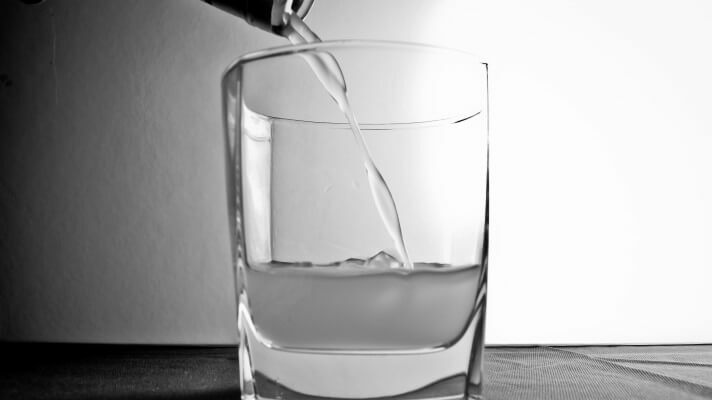 This method is the easiest to understand because you can know that your limit never changes or resets. But this model can also be difficult for growth because you may eventually run out of space and have to remove old episodes if you can't afford to add more storage. 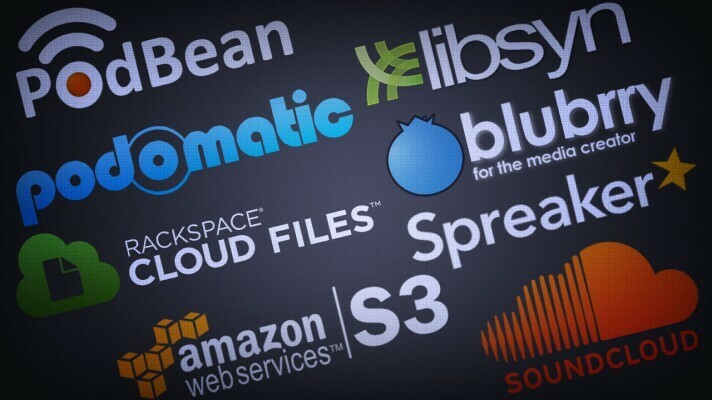 Amazon S3 and Rackspace CloudFiles are popular file hosts for much more than podcast media. These and similar companies will host as much as you give them, but they'll charge you for how much you store and how much it gets downloaded. The more you grow, the more expensive this gets. Other companies, like one plan from SoundCloud, will offer unlimited storage but place limits on how much your media can be downloaded. This is fine for small audiences, even if you have a lot of content. 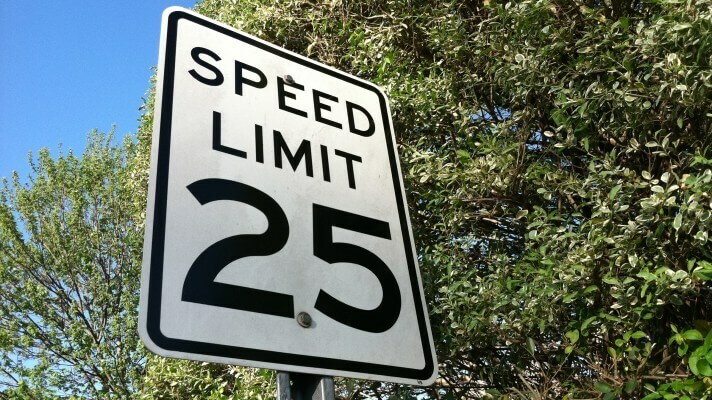 But if you have a large audience and release a lot of content, you may hit these bandwidth limits every month. This unlimited storage with limited bandwidth is like a speed limit to your podcast's growth (although actual download speeds aren't affected). LibSyn's and Blubrry's new media hosting model, which I call “monthly reset storage,” is a lot easier to understand. You can use your upload storage at any time within the calendar month; the storage will reset on the first day of each month. Your potential storage is unlimited, but you can only upload a limited amount per month. If you pay for 100 MB per month, you can upload up to 100 MB at the beginning of the month or the end. It really doesn't matter because you'll get another 100 MB to use for the next calendar month. If today is the last day of the month, you could fill up the rest of your 100 MB today (even if it's for episodes you'll publish next month), and you'll get a new 100 MB of space to use starting tomorrow. This will be much easier to understand and manage. You will no longer have to schedule your uploads for just the right time and plan out how much storage you'll need in a week. It's now simple math. Neither LibSyn nor Blubrry are the first to offer “monthly reset storage,” PodBean has been offering this same model for a while (except that PodBean's cheapest plan offers limited bandwidth). The other, popular podcast media hosts offer different storage methods. As of January, 2014, here's how each of them stack up. LibSyn offers “monthly reset storage” with unlimited bandwidth for fixed monthly fees. Blubrry will soon offer “monthly reset storage” with unlimited bandwidth for fixed monthly fees. They will also offer up to 25% of padding for when you need a little extra space near the end of your term. PodOmatic offers fixed storage with monthly bandwidth limits for fixed monthly fees. SoundCloud fixed and unlimited storage plans, based on minutes of audio (not file size), with unlimited bandwidth for fixed monthly fees. Spreaker offers fixed storage plans, based on minutes of audio (not file size), with unlimited bandwidth for fixed monthly fees. PodBean offers “monthly reset storage” with limited and unlimited bandwidth plans for fixed monthly fees. Amazon S3 and Rackspace CloudFiles offer unlimited storage with unlimited bandwidth for monthly fees based on how much storage and bandwidth you use. Standard web hosting companies (like BlueHost or HostGator) offer fixed storage with fixed bandwidth (even though they claim “unlimited”) for fixed monthly fees. I think LibSyn continues to offer the storage best value and flexibility. They're also the only third-party company you can trust with your RSS feed if you don't use your own website's feed or don't have your own site. You can use LibSyn to create your basic podcast site, power your RSS feed, and host your media. LibSyn offers great stats, too, so you can see how many downloads each episode gets and how it is being downloaded. If you want an Android or iOS app for your podcast, LibSyn provides great and affordable options. Sign up for LibSyn podcast hosting with promo code “noodle” and you'll get your first month free for any plan! WordPress is my top recommendation for owning and controlling your own platform. Blubrry's media hosting give you the power to manage everything about your podcast feed—media hosting, RSS feed, posts, and even ID3 tags—all within WordPress. Blubrry offers my favorite stats, so you can see how many downloads each episode gets and how it is being downloaded. 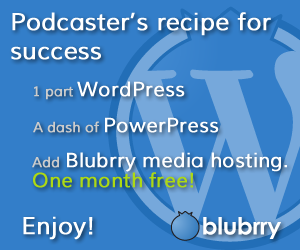 Sign up for Blubrry podcast hosting with promo code “noodle” and you'll get your first month free for any plan! Great info! I’ll be getting started with LibSyn soon, and will be sure to do it through your affiliate link. Thanks for this! You’re very welcome! I don’t have an affiliate link, but my promo code “noodle” is my affiliate tracker, and it gives you free stuff. Win-win-win! I just received the email from Libsyn about the change to Libsyn4 — perfect timing! Thanks! Ha ha! I didn’t know that was going out on that day. Awesome comparison DJL. I use both Libsyn 400 and Soundcloud Pro …and I agree Libsyn overall is the better host. I have to say though – SC is a much better option than I expected – I’ve found the downloads are always fast, and the Social aspects (follows, comments, players, embeds) make it pretty sweet. Note: I pipe the direct download links from the SC RSS through PowerPress – so I’m using them as a pure media host. Have you heard of ARI HERSTAND? He is a musician/marketer that does incredible comparison posts that take him around 50hrs. Thanks, Joshua! Yes, SoundCloud has some great social aspects and I’m glad that you’re using them properly. I wish these other “social networks” allowed me to pay a smaller fee to participate but use my own media host. I have heard of Herstand. The funny thing about this post was that it started out as being all about LibSyn’s upcoming change. Then I started thinking of how to explain the old way, then I thought people should understand how a couple other hosts do it, then I increased the list of competitors, then I realized that I needed to explain other storage models, and then an HTML table happened. I’ll be spreading this post around for sure mate! Keep the Epic coming DJL. Joshua, when using SC, do you see stats, like something similar to what Libsyn has? (world view of downloads, episode downloads, devices used, etc..) ? I’m currently looking at SC but there is no info on their website about this. With my current podcast I use Libsyn but if SC offered great stats, then it looks like I’ll be using SC for another podcast I’m about to launch. Daniel, great round-up on all the hosting options. 🙂 I recently saw a podcaster using Archive.org for their media hosting because they claim its free and unlimited. Any idea on how that works? Archive.org! I completely forgot to mention them. I’ll need to do some research and update this accordingly. SoundCloud’s stats are extremely basic—basic just downloads and plays in a single number. If you wanted advanced stats, you’d need to add Blubrry’s free or premium stats in your media links from your site to your hosting. Joshua, can you please tell me how you’re using SC RSS through PowerPress Plugin? What do you think of Castmate.fm for podcast hosting? It looks interesting, but it’s far from being a major player in the space. It doesn’t answer many questions I have about the service. Just starting out on all this. if I have bluehost with a wordpress site with powerpress do I still need somwething like Libsyn or do i already have all I need? I do still recommend LibSyn to host your media, while your website is on BlueHost. Many shared web hosts aren’t setup to handle the server load of hosting podcast files and their high demand for large files. While it’s easy to understand the logic of storage resetting at the 1st of every month, it can potentially be a pain. Let’s say you’ve got a podcast coming out every Tuesday on a 100mb plan. Some months have four Tuesdays and others have five. I can have my files set up to come close to the 100mb at the end of a four week cycle, but in a five week cycle it’s gonna tip over and I’ll have to pay more. Yes, that is the one annoyance that can happen up to twice a year. That’s where Blubrry’s “no-fault hosting” may be a better option for you. This allows you to occasionally exceed your allotted storage, when you have to squeeze in that last episode of the month. The previous method of rolling resets was confusing for a lot of people and each harder to manage. I know this is an old post now, but I found it very helpful. One typo no one else seems to have picked up. “This unlimited storage but unlimited bandwidth is like a speed limit to your podcast’s growth…” Had to read that a couple of times. I want to be able to add my podcast episode to multiple categories and I need a robust filter where the user can find by topic, category or speaker etc. Any recommendations? Simple. Publish to your WordPress website and use categories for top-level organization (e.g., “The Audacity to Podcast,” “the Ramen Noodle,” etc.”), then use tags for your specific topics (e.g., “podcast,” “Twitter,” “social media,” etc.). With some extra programming, you could give yourself an additional taxonomy. Thus, you could have “speakers” be its own taxonomy. As this relates my post about media hosting, you would be fine to do all of this with either Libsyn or Blubrry media hosting, but I would recommend Blubrry in your case. Use promo code “noodle” to get a free month. Then you’ll need to work with whatever content-management system (CMS) you’re using. For the podcast feed, use Libsyn with promo code “noodle” and that will handle your stats, hosting, and RSS feed. Cross-post the episodes to your site in whatever organization method you want. What I am looking for is a PodCast system that allows me to create multiple categories linked directly to that episode and then when I go to display all the podcasts it would allow the user to find a certain podcast by selecting different filter options. Thanks any way for your help. Yes. WordPress can do that. But you’re not using WordPress, so you would either need to switch, or learn how to fully use your current CMS. But note that what you’re describing is all about website organization and nothing to do with podcast media hosting or how your RSS feeds iTunes. BluBrry now has their own WordPress based hosting solution, maybe that would be an option to check out – to have the Podcast on it’s own site if you can’t leave your main site’s CMS. Old article, but still a good one. Your Spreaker code allowed me to have my first month ($20) free. Very nice considering I just dropped $19 in music for a new show!